NBC 6's Ari Odzer has more on the community's reaction of mail bomb suspect's Cesar Sayoc's arrest. 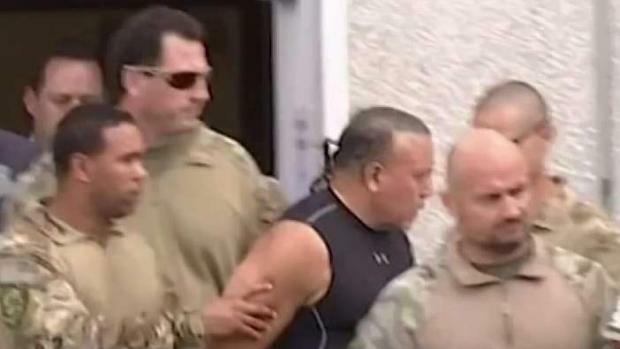 The suspect arrested in connection to the 12 crude explosive devices sent by mail, Cesar Altieri Sayoc Jr., was born in Brooklyn but lived in South Florida – where he acquired an extensive criminal record. Sayoc, 56, was arrested on Friday at an AutoZone location in Plantation. His van was towed away by officials, including the FBI. The windows of the suspect's vehicle were plastered with decals of President Trump, Vice President Pence and other images, including negative images targeting the media. Officials said DNA evidence played a role in finding him. Criminal charges for Sayoc in South Florida date back to 1991 – when he faced several parking and traffic violations in Broward County. NBC 6 takes an inside look at the life of Cesar Sayoc, the accused attempted mail bomber. Sayoc is a registered Republican as of 2016. AutoZone said Sayoc was not an employee and was apparently at the location to shop. In 2002, Sayoc faced a felony bomb threat charge in Miami-Dade County. It is not clear if he was found guilty in the case as the Miami-Dade County court docket suggests judgment was withheld. The Miami-Dade State Attorney’s Office said files for the 2002 arrest have already been destroyed. In 1991, Sayoc pleaded guilty to grand theft to the third degree and given probation until 1993 in Broward County. Sayoc, who went through a Fort Lauderdale foreclosure in 2009, pleaded no contest to felony grand theft and battery charges in 2013. In 2014, Sayoc faced a misdemeanor charge of theft in Hollywood in which he violated his previous probation. He pleaded no contest to that charge and received credit for time served. Sayoc also faced a larceny and theft charges in 1992 and 2014 in Miami-Dade County. 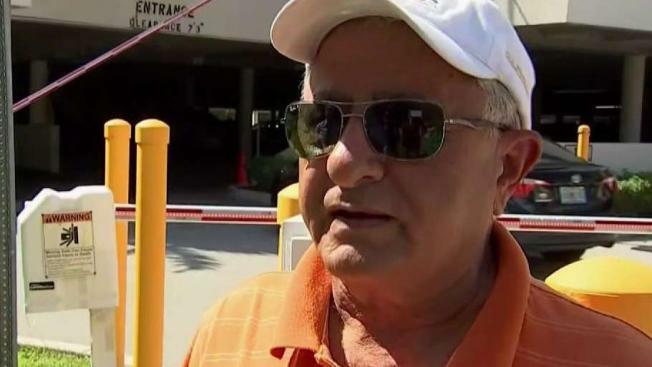 A cousin of the suspect described Sayoc as a "very nice, thoughtful person." Asking not to be identified, the woman said she was stunned to hear about his arrest. She knew nothing about his political beliefs or arrest history, she said. The two hadn't connected in 20 years until recently when her father died. At least 12 suspicious packages have been discovered. All of the packages were irregularly shaped, in yellow manila envelopes, with six stamps that were not postmarked. None of the bombs detonated, no injuries were reported and authorities said it appeared some of the devices were flawed and incapable of exploding. It is not clear it was intentional that the bombs would not be capable of detonating. According to sources, the explosive devices were made from PVC pipe and contained a timer to set off the detonator. The powder contained in the bombs comes from pyrotechnics. X-rays show there was likely shrapnel inside the PVC pipe, law enforcement officials said.